Akbay wants his Bosso contract renewed? OUTGOING Highlanders coach Erol Akbay has reportedly made a dramatic about turn and told the club that he was willing to have another dance with the Bulawayo giants. The Dutchman's two-year contract comes to an end at the end of next month and he had publicly declared that he would not renew his relationship with the club. 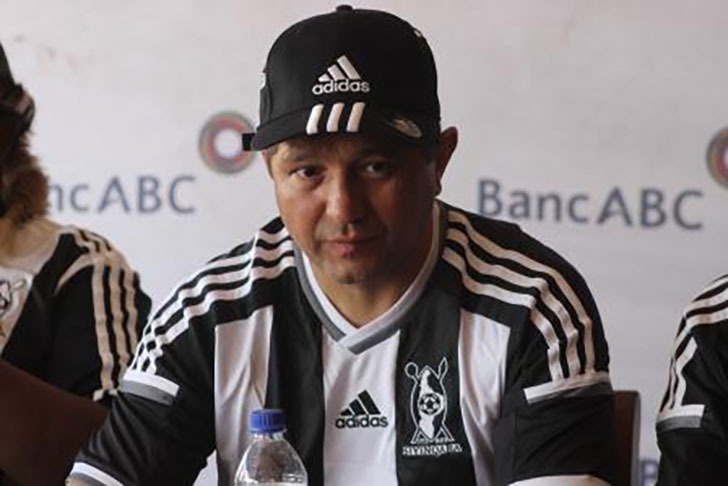 Sources at Bosso said Akbay had intimated that he now wants his contract renewed. "The guy has made a dramatic about turn, probably after failing to get reasonable offers from other local clubs as a result of Bosso's poor run in the second half of the season," said a source. Akbay, however, denied that he had had a change of heart, saying he was returning to the Netherlands next week after Highlanders' last league encounter against Caps United at Barbourfields Stadium on Saturday. "I am going home next week. It's not true that I want to remain at Highlanders," said Akbay. But a club executive member insisted that the Dutchman had tried to have his contract renewed. "We heard about it that he now wants to stay at the club but we have had enough and we need to start afresh," said the executive member. Highlanders' chief executive officer Nhlanhla Dube said his office was not aware that Akbay now wants his contract renewed. "There is nothing of that nature that has been indicated to us officially. I am not aware of the alleged changed position," said Dube. On the appointment of Akbay's replacement, Dube said they were seized with the matter and were confident they would get their man before the start of the 2018 pre-season preparations. He, however, confirmed that they would be employing a former Highlanders son, who understands and appreciates the expectations of the club's members and supporters. "The appointment of a substantive coach is still work in progress; our target is to have a coach as we promised before the pre-season starts. We need to get it underway and done quickly because we need to get things around player retention, which will be affected by a new coach. "Remember people have also said they need youngsters from Division One promoted to the first team and that selection has to be overseen by the new guy. We are trying to do that as early as possible," said Dube. He said their recruitment would be guided by what members want; which is to promote youngsters and have a former Highlanders player take charge of the dugout. "We have not zeroed in on any candidate, but we are guided by a few things, chief among them being a resolution that we must go young, go Highlanders and go local so the focus has been exactly that. The preferred route by members is that we should appoint a Highlanders' son who understand what we mean by doing things the Highlanders way," said Dube.